1. Standard Oil Co. Inc.
Standard Oil Co. Inc. was an American oil producing, transporting, refining, and marketing company. Established in 1870 in Ohio, it was the largest oil refiner in the world. In the kerosene industry, Standard Oil replaced the old archaic distribution system with its own modernized vertical system. It supplied kerosene by tank cars that brought the fuel to local markets, and tank wagons then delivered it to retail customers, thus bypassing the existing network of wholesale jobbers. Standard Oil improved the quality and availability of kerosene products while greatly reducing their cost to the public (the price of kerosene dropped by nearly 80% over the life of the company). 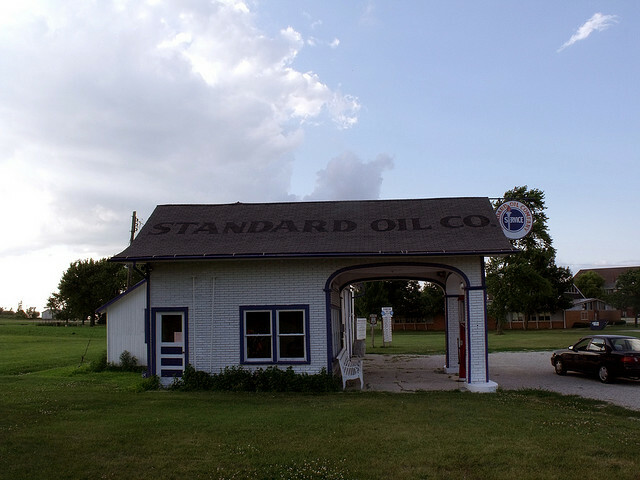 Standard Oil revolutionized the oil industry through their pioneering refining process. The company made high quality oil readily available on the market, thus providing the means for the second stage of the Industrial Revolution, which brought about the era of automobiles and modern manufacturing plants. The invention of the light bulb gradually began to erode the dominance of kerosene for illumination, but Standard Oil adapted by expanding into natural gas production. This led them to the invention of gasoline for automobiles, which until then had been considered a waste product. The founder of the company John D. Rockefeller was not only an industrialist, visionary, and a great businessman. Rockefeller was the richest person in history, but his fortune was mainly used to create the modern systematic approach of targeted philanthropy. He was able to do this through the creation of foundations that had a major effect on medicine, education, and scientific research. His foundations pioneered the development of medical research and were instrumental in the eradication of such deadly diseases as hookworm and yellow fever.